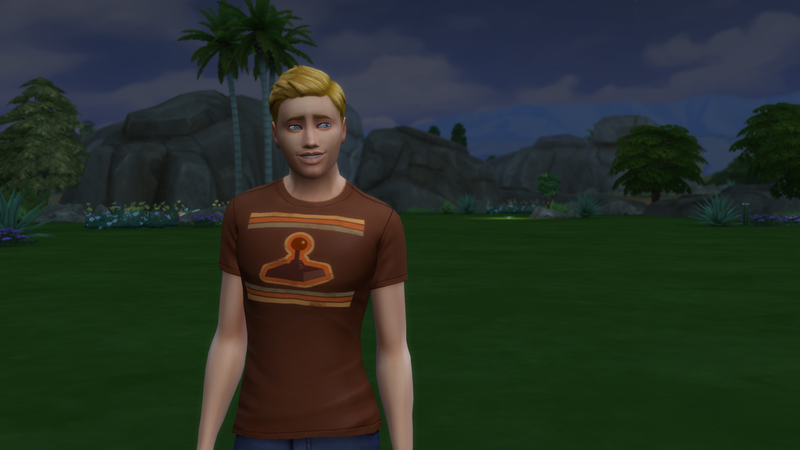 Meet Reese Fairchild! 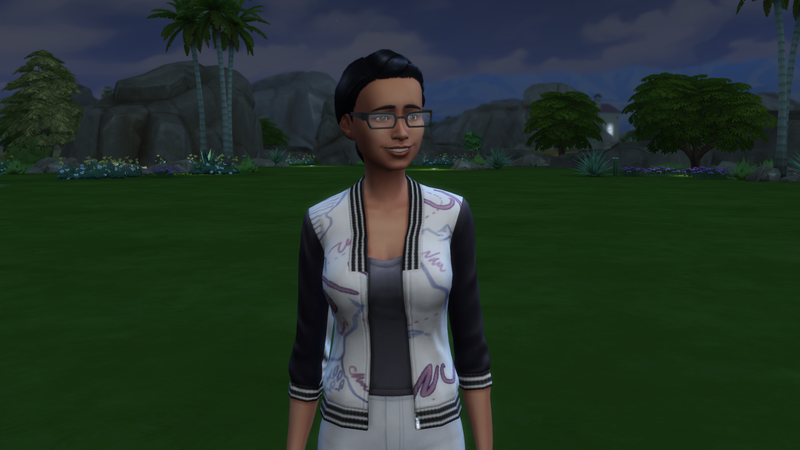 We get a second playable sim in this house (I’ll forget this at some point…) and I wanted to use someone from another game of mine, so Reese was selected! 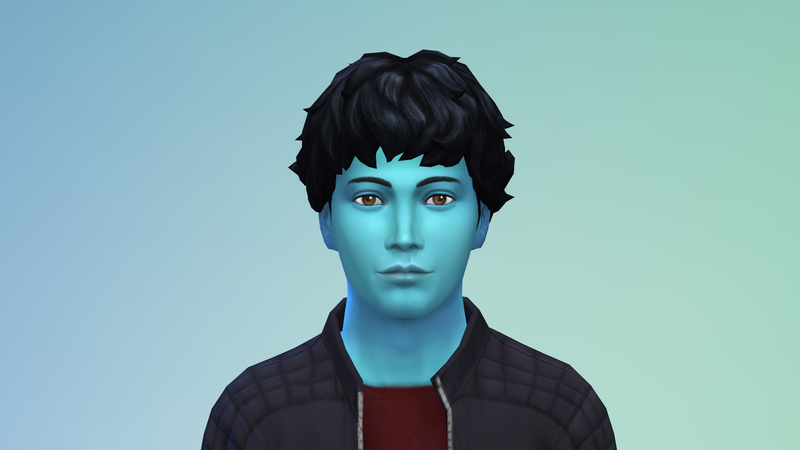 He’s from my 100 baby challenge and I can’t wait to see their babies! 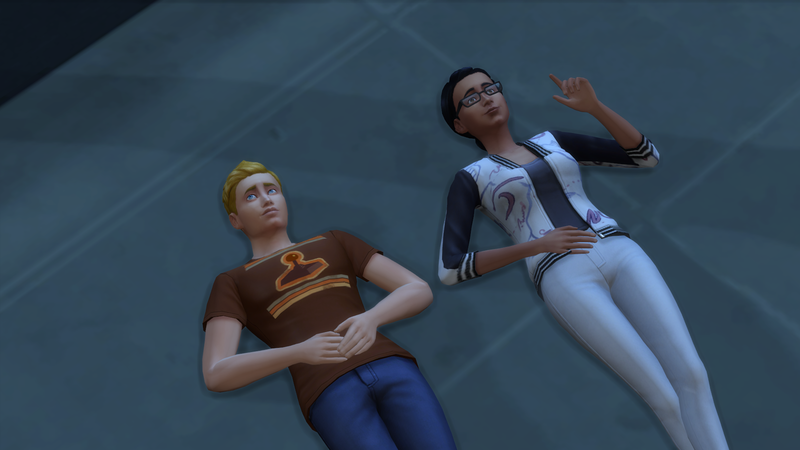 While we waited for collectables to appear we got to know each other first. And then a few hours later Adalind was sent off in search of goodies. 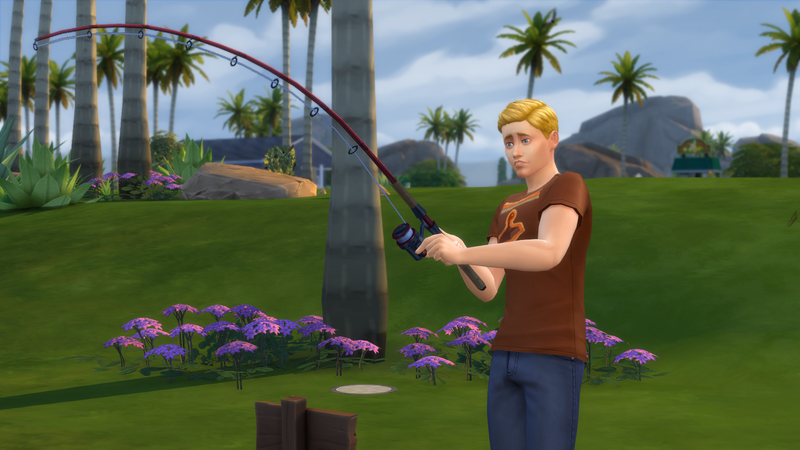 While Reese is set to work fishing. 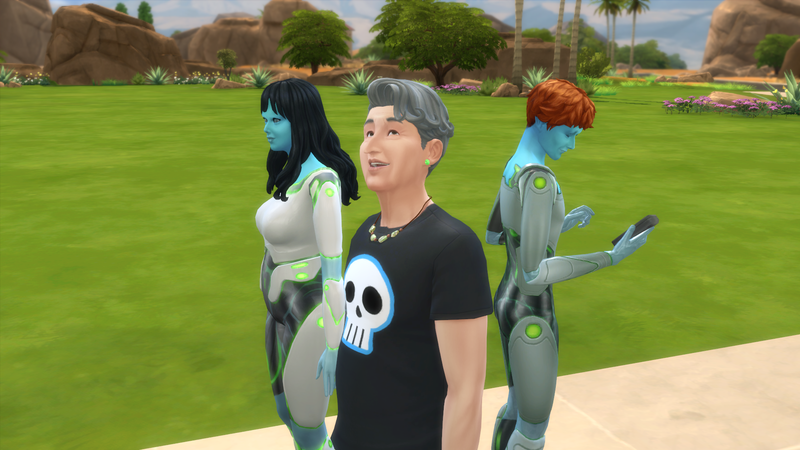 We had our first ever welcome party! 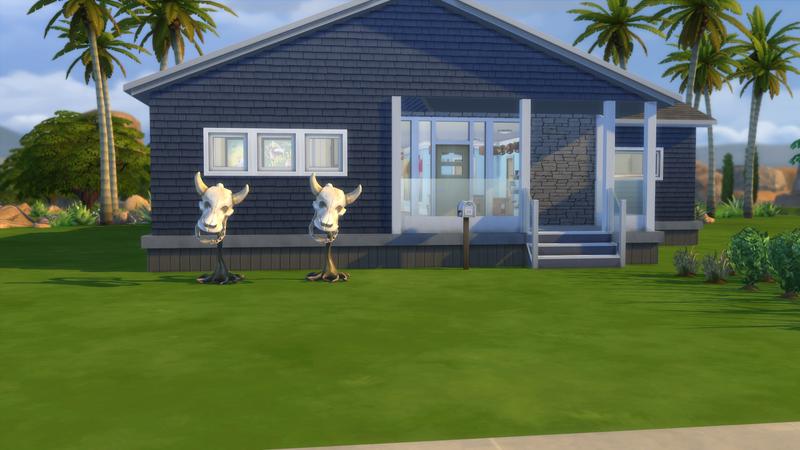 This is what happens when you move to a lot that actually has a neighbor! So Uncle Devin and Aunt Rebecca along with Calvin came to welcome us. 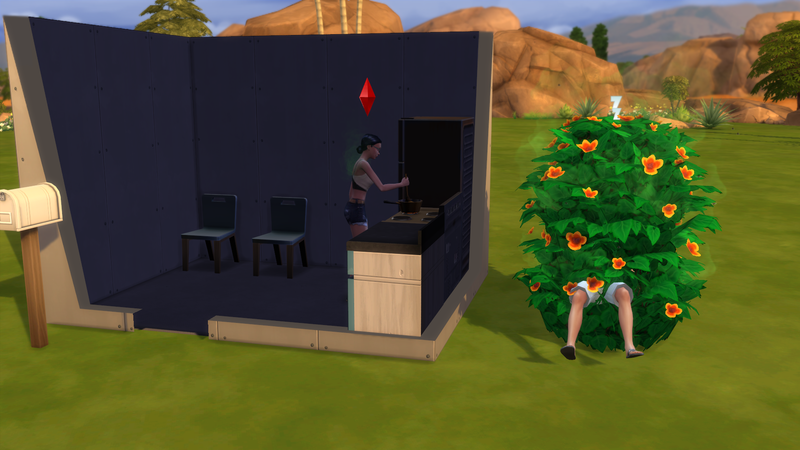 We had a heat wave and I was afraid of them combusting, so we did things different from the past: We built a shelter first. 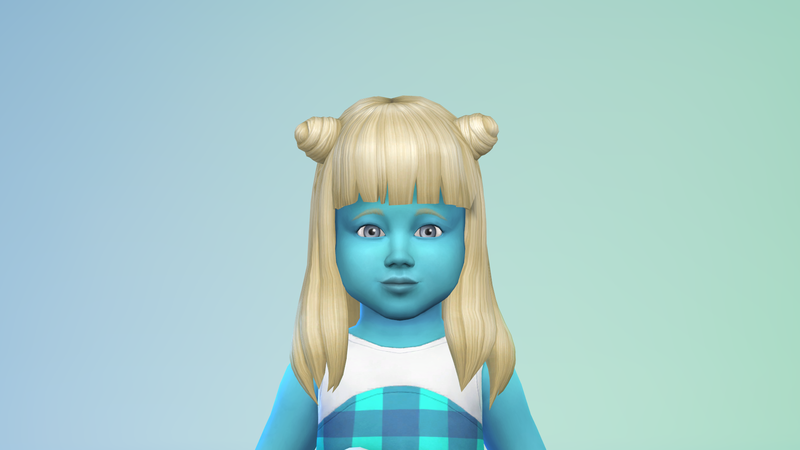 At this point in the Challenge, Adalind is missing her shower. And if you look closely, you can see mom in the back ground! *waves* Hi mom! We took a quick break from collecting to play in the leaves! That’s right Fall is officially here! 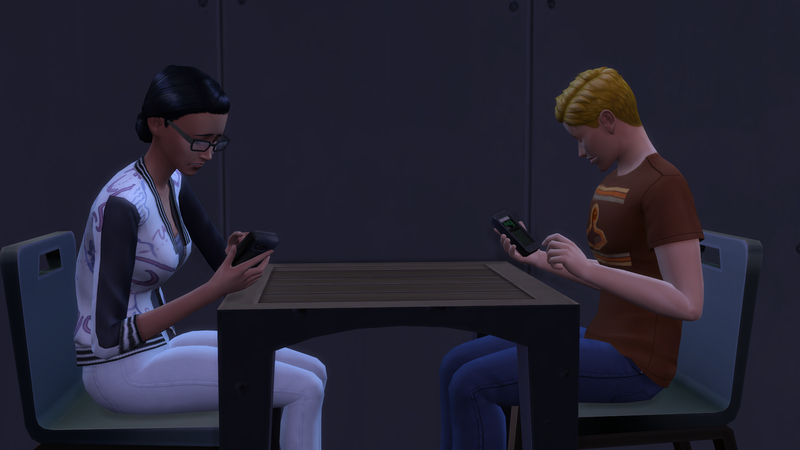 Case and Point… They’re both playing with their phones because they needed an escape from the horribly awkward romantic interaction they just had. This is going to be a problem. Bills. 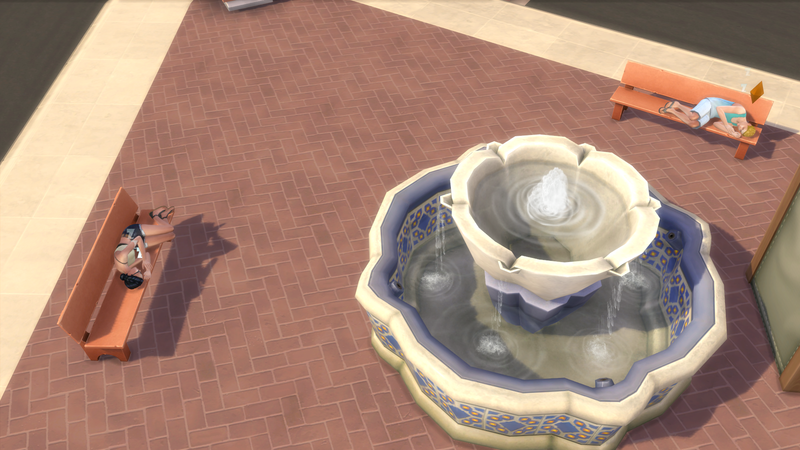 And as you can see, we cannot afford them… Time for a collection run. And this helped too! 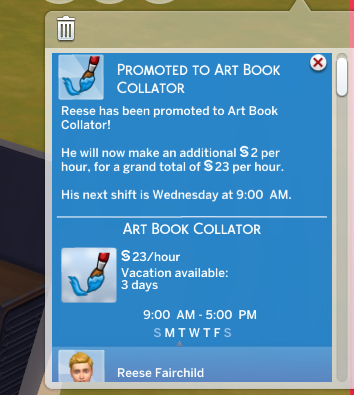 Thank you Reese! 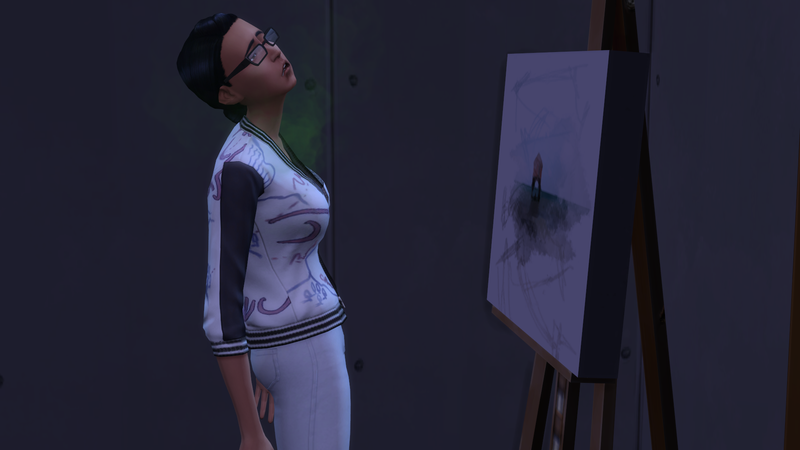 After bills, we had enough to buy our first Easel! It’ll get us through until they bring home the reward easel after the appropriate promotions. Skye Tanaka. Kayla and Calvin’s oldest. She’s really pretty! 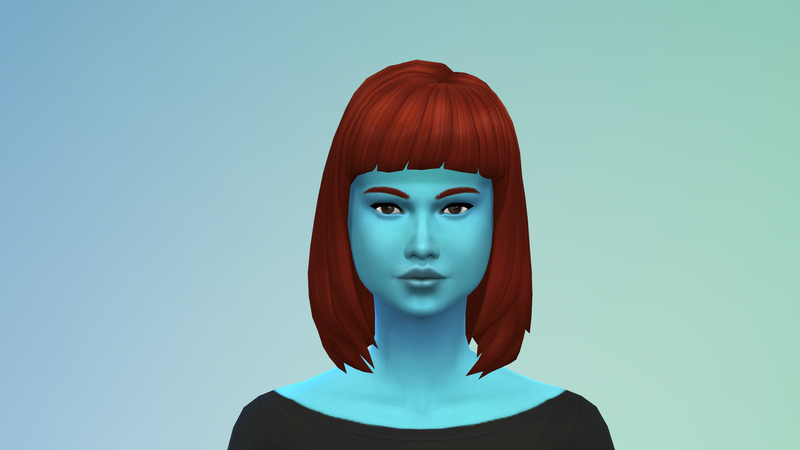 I might save her and use her for my OWBC when I get to it! 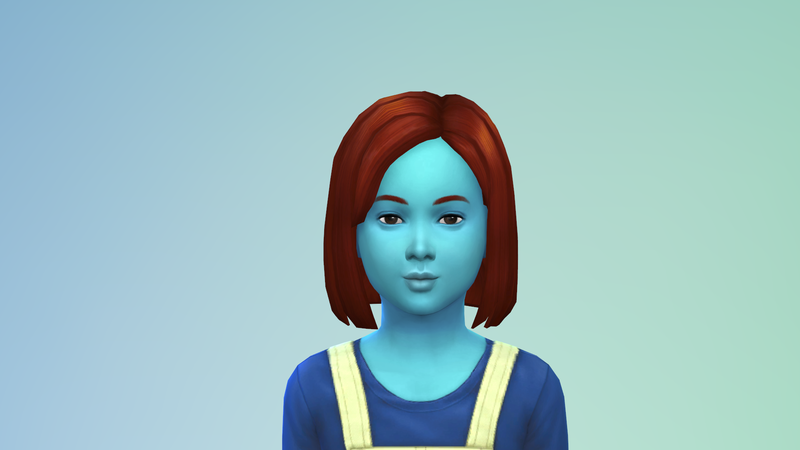 And here’s her younger sister, Ashlynn! 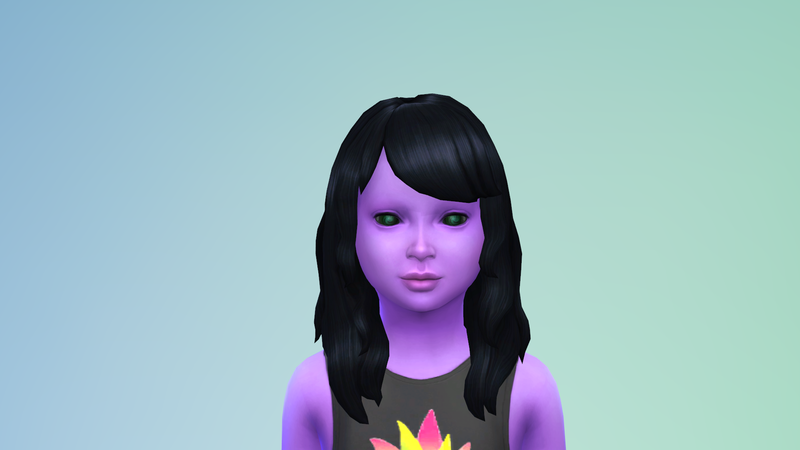 And our very own little Laurel who, of course is Malik’s alien baby. Yay! House 5! 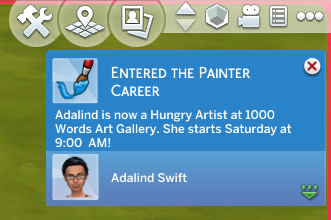 You’ll be amazed how easy it ends up being to get that 100k value with two painters in the house. Don’t forget that keeping the masterpieces will raise your house value. 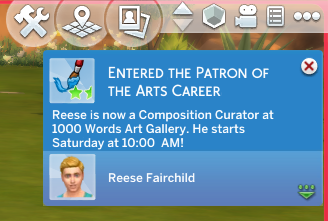 Patron of the Arts is actually level 10 of the career.. lol I didn’t even know you could be “forced” to start so high in a career. Reece is adorable. Good luck getting them together. 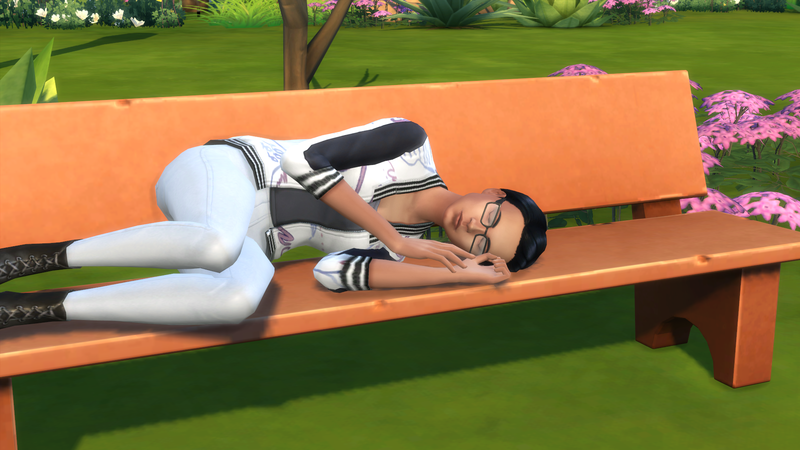 Some sims are stubborn, and I have no idea why. I can see they are super awkward, ha ha! I’m sure they’ll warm up to one another once life gets a little easier.